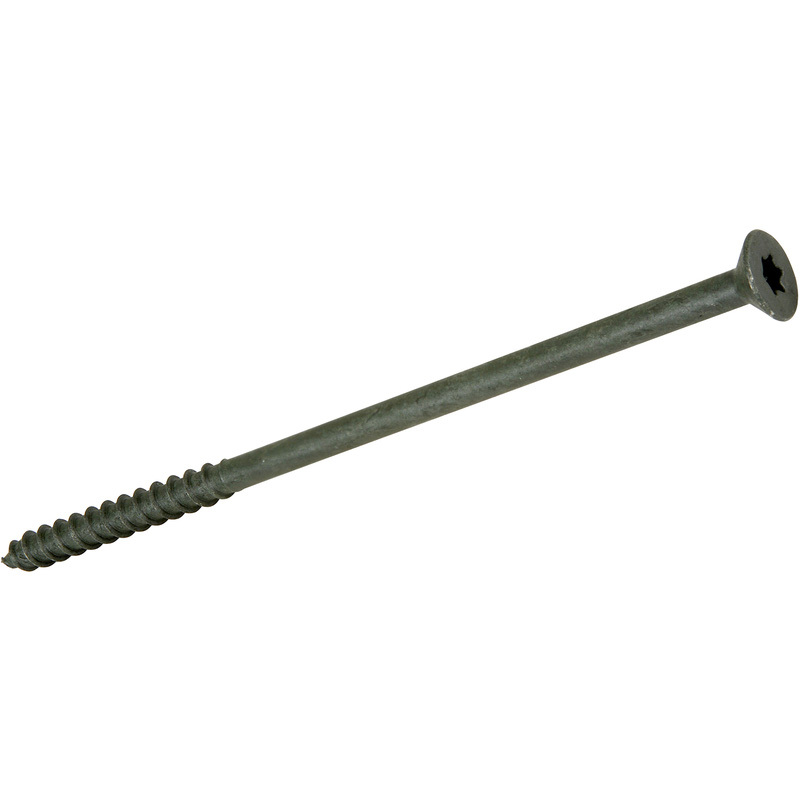 Timber-Tite Torx Joist Screw 6.5 x 200mm (10 Pack) is rated 4.6 out of 5 by 18. Rated 5 out of 5 by bobcov from Excellent Great product. Secure bit for the drill. Good pull into the wood and held very well. and excellent value. Rated 5 out of 5 by Geoffers59 from Great! Used these for jointing large jjoists and timbers, brilliant job. Rated 5 out of 5 by Dances12 from Steady and strong Bought these to secure sleepers around a pond. They went in easily with an Impact screwdriver and I would recommend them. Rated 5 out of 5 by MikeyRules from Perfect for railway sleeper beds I bought these specifically for screwing railway style sleepers together on a flower bed that I was building. They come with the hex bit to attach to your torque drill and drive in very easily whilst self countersinking. Absolutely perfect for the job! Rated 5 out of 5 by Tic Toc from Great Product Easy to screw in, even without a pilot hole, and despite thickness they do not split timber unless very close to the edge. Used in oak frame building construction. Rated 5 out of 5 by Oldish DIYer from Excellent product Used on construction of a heavy frame i.e. from old 100x100mm fenceposts and they made the job very easy.